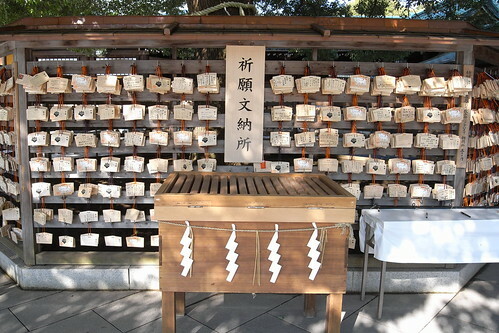 Wish Box, Meiji Jingu, originally uploaded by Eric Jeschke. Write your wish on a note and drop it in the box. The little white lightning bolts have that pattern to chase away bad spirits.